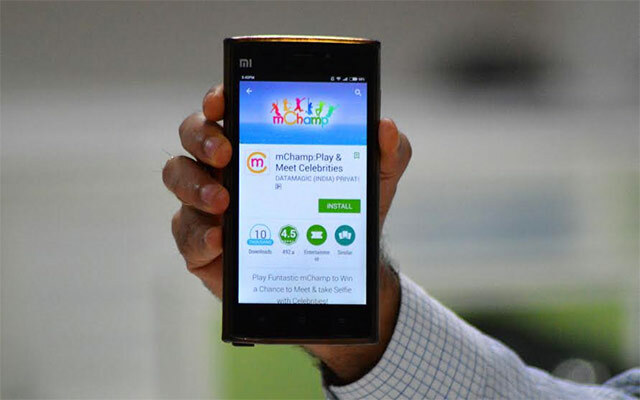 Delhi-based mChamp Entertainments, which conducts celebrity-related and entertainment contests on its app, has raised Rs 5 crore (about $745,000) in seed funding from MoMagic Technologies Pvt Ltd. This is the second startup where MoMagic, backed by Taiwanese contract electronics manufacturer Foxconn, has put in money this month; it invested $1 million in Lucknow-based startup EduAce Services Pvt. Ltd earlier in May. "Entertainment and celebrity are among the key sectors in which MoMagic is looking at innovative ways of organic and inorganic expansion," said Arun Gupta, CEO and co-founder of MoMagic. MChamp, run by Data Magic India Pvt Ltd, was launched last year by Paresh Shah. It asks users a range of questions on its app, and lucky winners get to meet celebrities or receive free recharges and gift coupons. The company claims it has organised around 50 "Meet and Greet" events so far. Noida-based MoMagic offers technology-backed and analytics-driven marketing solutions to enterprises, startups and e-commerce players. The company was formed in 2011, and operates in India and five Southeast Asia countries. FIH Mobile Ltd, a subsidiary of Foxconn Technology Group, had picked up a 10% stake in MoMagic in November 2015. The Indian company previously also received funding from Taiwanese chipmaker MediaTek. Another mobile-based customer rewards platform that received funding earlier this month is Gurgaon-based GoldVIP Technology Solutions Pvt Ltd, which runs Crown-it and raised $5.5 million in a Series A round of funding from Accel Partners and Helion Venture Partners.